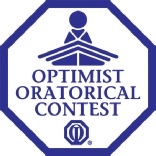 The Oratorical Contest is open to students under 18 as of October 1, 2016 and who are educated in the United States, Canada or the Caribbean. Students are required to prepare a 4- to 5-minute speech on a pre-assigned topic. 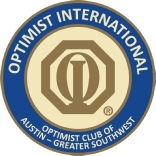 This contest is designed to assist youth in gaining public speaking experience and provide them with an opportunity to compete for a scholarship. Scholarships of $2,500 are awarded to the first place boy and the first place girl in the District year. Who: Students under the age of 18 as of October 1, 2016.